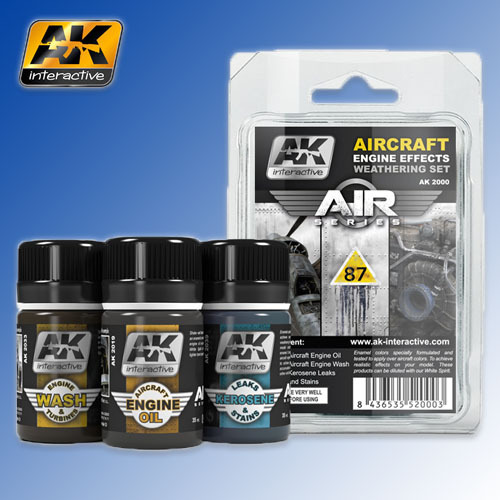 With the help of this weathering set, the modeller can achieve realistic weathering effects on aircraft engines. The products contained in this set have been specially formulated by our art department to help the modeller achieve maximum realism on their models. These high quality products can be dissolved with our white spirit should the need arise. -AK2039 Kerosene Leaks and Stains.